DUSIT HOTELS AND RESORTS unveiled its new Songkran Splash offer, designed to help revelers ring in 2016 (or 2559) – in truly Thai fashion. Guests staying a minimum of two nights or more throughout April 2016 will receive complimentary daily breakfast for two, a gift credit of 555 THB to use on buffet lunch, dinner or spa treatments, as well as a Songkran Splash kit – with all the essentials to survive the world’s largest water fight. Songkran Splash kits are offered exclusively during Songkran week only – from April 9-17, while stocks last. Guests booking via www.dusit.com can enjoy a 15% discount when they prepay for their stays at least seven days in advance while members of the Dusit Gold loyalty program will receive their choice of a free room upgrade or late checkout. Non-members can now sign up for a free membership to qualify for this exclusive privilege and other program benefits at www.dusitgold.com. REIGNING CHAMPIONS KING POWER went head to head with rival team Rueang Chang in the finals and managed to retain this year’s King’s Cup trophy by scoring two goals in the dying moments of the match, resulting in a final score of 9-7. Ten teams with players from around the world, including Miss Thailand, the New Zealand All Blacks rugby players and professional polo players created many memorable on (and off) pitch moments. Twenty unemployed ex-street elephants took part in this year’s tournament, during which time they received full veterinary checks from the Zoological Parks Organization of Thailand (under the patronage of the King of Thailand) and the Department of Livestock Development. The money raised from the 2016 tournament will be donated to a variety of elephant related projects including funding a new mobile clinic in Mae Teang, Chiang Mai Province which has the largest concentration of trekking camps in Thailand. Funds will also be donated to the Zoological Parks Organization of Thailand to support projects to improve the year round lives of the 200 elephants and mahouts in Ban Ta Klang, in Surin Province, where the ex-street elephants face ongoing hardship. Other significant benefits from the money raised by the tournament include: the on-going Thai Elephant Therapy Project which has been underway since 2009 in conjunction with Chiang Mai University’s Department of Occupational Therapy, with future clinics to include children with Down’s syndrome and other conditions. A 500,000 THB gantry to help lame elephants stand, donated to the Thai Elephant Conservation Centre (TECC); 4,000 trees planted in Hua Hin for elephant corridors to stop farmer/elephant conflicts; funding a conservation curriculum for schools to teach children the importance of conservation and protection of wild elephants in Thailand and funding Asia’s first workshop to show traditional elephant trainers and camp owners the benefits of Positive Reinforcement Training for captive elephants. The event has something for everyone, kicking off with a spectacular opening parade, with the opening ceremony overseen by Thailand’s last ‘elephant spirit men’ (Kruba Yai), traditional dancers, plus the daily trunk-to-trunk action on the pitch. Day two saw the tournament host one thousand children from schools all over Bangkok. Known as Chang Noi Day (Little Elephant Day), the children were invited to get up close with the elephants and learn more about their national animal. A range of educational walks, games and activities all teaching the benefits of elephant conservation and wellbeing were showcased by the organizers. Saturday was ‘Ladies Day’, known as ‘Bangkok’s Ascot’, where ladies from all walks of life dressed to impress with the best dressed lady winning major prizes including a trip to Paris. On pitch, an exhibition penalty shoot off between the New Zealand All Blacks rugby players Olo Brown, Robin Brooke and Charles Riechelmann and Thailand’s most famous trans-gender cabaret show members Miss Tiffany – the All Black’s showing their sporting prowess by winning 2-0. The final was presided over by the King of Thailand’s Royal representative, H.E. Privy Councilor, Air Chief Marshal Chalit Pukbhasuk. CHAMPAGNE BREAKFASTS, egg decorating, Easter brunch, guided snorkelling tours, desert island picnics, sunset cruises, movie nights and more are part of the celebrations during the Easter Week at Soneva Kiri and its sister resort, Soneva Fushi. From beachside barbecues, authentic Thai cooking classes and Easter breakfast to special culinary events such as a traditional Scottish breakfast and set menus at the resort’s signature restaurant Khun Benz, Soneva Kiri has a few surprises planned for guests this year. Highlights include the Asian Orient Express for a gastronomic journey from Singapore to Chiang Mai, and the Easter Gourmet Special Menu, which will see the Eastern chefs take on the Western chefs in an exciting kitchen battle. Easter festivities at Soneva Kiri include an Easter Butterfly Quest with the resort’s resident marine biologist for a look at the island’s beautiful butterflies. Leading holistic therapist Lorenzo Becchi will be on hand to help guests rid themselves of unwanted habits, chronic stress, anxieties and emotional blockages with simple and efficient solutions. Guests can also take part in the annual kayak race, go on a spectacular sunset cruise; or, for something more physical, sing up for Muay Thai classes. Other exciting activities include the Jungle Jim’s Wildlife and Fauna Journey, a discovery cruise to the nearby island of Koh Kradad (Deer Island), and the Koh Rang snorkelling trip. 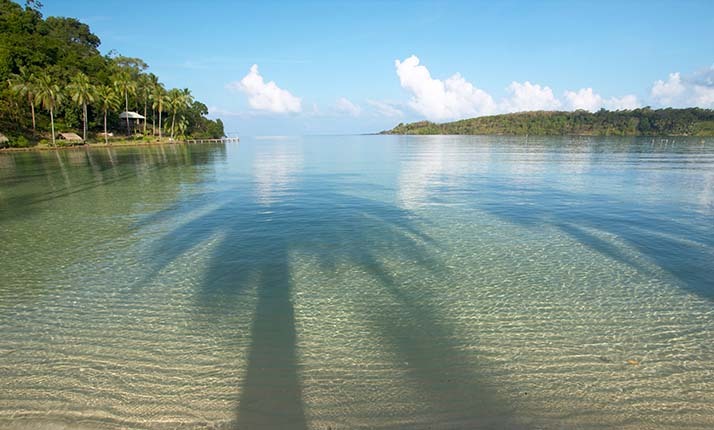 For more detailed information of the Easter programme at each resort, click on Soneva Fushi or Soneva Kiri. Award-winning luxury resort Soneva Kiri sits on Thailand’s fourth largest but least populated island, Koh Kood – just one hour by private plane southeast of Bangkok. It offers an unrivalled combination of luxury, an integral environmental approach, authentic Thai experiences and organic food. Soneva Kiri Resort comprises 36 vast pool villas on beach level, hillsides or cliff tops, all overlooking the Gulf of Thailand. Available to rent or purchase, all have impossibly chic furnishings, personal electric buggies and impeccable service courtesy of Mr./Ms. Friday private butlers. ONE-MICHELIN STAR Chef Julien Montbabut will be offering a special six-course dinner at La VIE – Creative French Cuisine at VIE Hotel Bangkok from March 23-26. Julien is the head chef of Le Restaurant, a popular dining spot for local and international celebrities at well known L’Hotel in Paris, where he has become a master at creating incomparable juices, sauces and seasonings. Dinner starts at 7 p.m. each day. 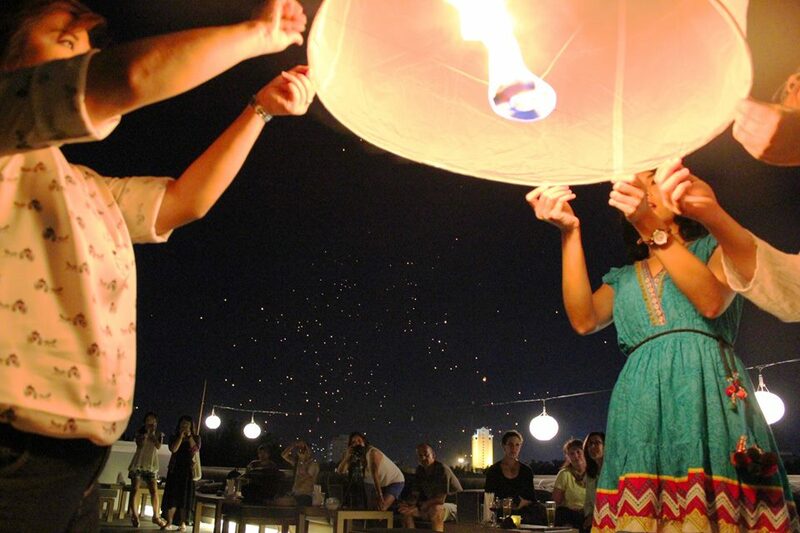 Cost of the six-course set dinner is priced at 5,000 THB per person. The six-course set dinner with wine pairing is priced at 7,000 THB per person. The dinner starts with a variety of snacks –tile rice and mussels with curry, tube crispy dried porcini mushrooms and parsley, orange tart and campari; followed by cucumber – horseradish emulsified milk delicate jelly, smoked eel and Norway lobster – sour cream marinated à la minute, radish. Main dishes feature a choice of sea bass – juice of fish bones cooked on the skin, sweet & bitter salad or morel – parisian mushroom bouillon stew, jura wine sabayon or farm pigeon – devil sauce roasted on the chest, varieties of cabbage desserts include Arlette – vanilla diplomat cream baked apple puffed raisins; lemon – Italian meringue on a biscuit, creamy and zesty petit fours – truffle chocolate and coffee; marshmallow poppy and poppy sandy diamond and caramel. THIS YEAR’S King’s Cup Elephant Polo Tournament will be held by the banks of Bangkok’s Chaophraya River from March 10-13. The four-day event, sponsored by Anantara Hotels, Resorts & Spas, will feature 10 teams encompassing over 40 players, including Thai celebrities, professional horse polo players, New Zealand All Blacks rugby players and Thailand’s famous transgender cabaret team Miss Tiffany. A total of 18 elephants will be given a break from their work in tourist-trekking camps in Pattaya or bought from unemployment in Surin to take part in the festival, during which they are given much needed food, essential vitamin supplements, full veterinary checks and care for the duration of the event. Now in its 14th year, the tournament has become one of the biggest charitable events in Southeast Asia. It has raised almost US$1 million and donated to projects that better the lives of Thailand’s wild and domesticated elephant population, including continued support for research and clinics using elephants in therapy sessions for children living with autism; donating a gantry to help lame elephants stand and a purpose -built elephant ambulance to the Thai Elephant Conservation Centre (TECC), and donating an All Terrain Vehicle (ATV) to the Government Elephant Hospital in Krabi. Other projects include funding farmer/elephant conflict mitigation projects in three Thai and one Tanzanian National Park; planting 4,000 trees to form an elephant proof fence in Thailand; fully funding the protection of 18,000 hectares of standing forest in Cambodia’s Cardamom Mountains; funding the roll out of children’s educational programs with the Thai Ministry to teach them the importance of conservation and protection of wild elephants in Thailand and funding the world’s first Target Training Positive Reinforcement Workshops teaching mahouts and trainers throughout Southeast Asia elephant friendly training methods. Domestic elephants are micro-chipped by the Thai government to show that they have not been caught from the wild. The worst trekking camps can be tough for an elephant. In order to make money, mahouts are forced to work their elephants 10 – 12 hours a day. Conversely, at home in Surin, unemployment means elephants are often left isolated from other elephants with a short chain on two legs 24 hours a day with no exercise or enrichment. In both circumstances, the poverty of existence means their owners cannot afford to feed them anything close to their daily physical needs, emotional needs are forgotten, and shade and sufficient water are often overlooked. The King’s Cup schedule is designed to give these trekking elephants rest and relaxation on a scale they are never afforded in their ‘normal’ lives and ensure elephant rest time with interaction and enrichment that neither set of elephants gets in their daily lives. The festival will have something for everyone including an opening parade, Children’s Educational Day, Ladies Day known as the ‘Bangkok Ascot’ and a wide range of fun elephant-related activities for the whole family. Anantara has long been associated with elephant conservation efforts with the formation of The Golden Triangle Asian Elephant Foundation, which has performed over 40 rescues of elephants off the streets of Thailand, as well as bringing the hugely successful Elephant Parade to Bangkok, where 88 elephant statues were decorated by local and international celebrities and artists to honour Thailand’s King Bhumibol Adulyadej’s 88th birthday, and will be auctioned off in a gala dinner in February 2016. For more information on the 14th annual King’s Cup Elephant Polo Tournament, visit www.anantaraelephantpolo.com. FIGHT NIGHT! is an annual event organized by the volunteers of Operation Smile Thailand to raise funds to provide free surgeries to repair cleft lip, cleft palate and other facial deformities for children in Thailand. 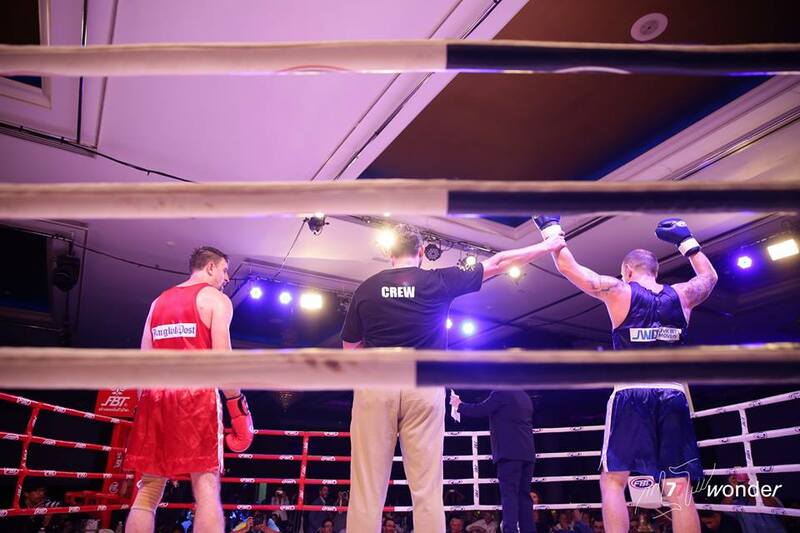 The fifth edition of Operation Smile’s super popular Fight Night White-Collar Boxing Fundraiser once again saw around 400 guests enjoy a night of wining, dining and boxing in a Vegas-style party held at the Dusit Thani Bangkok’s Napalai Ballroom. More than 350 people attended Operation Smile Thailand Fight raised a total of 5,146,000 THB through sponsorship and private donors. “THE FESTIVE SEASON AT SONEVA is where every day holds the promise of new activities to inspire our guests and rare moments of perfect contentment … sunset cruises, wine tastings, gourmet pleasures, astronomy lessons, cocktail parties and traditional Christmas dinners, said Sonu Shivdasani, founder and CEO of Soneva, talking about celebrating Christmas and New Year at Soneva Kiri. Everything starts on Christmas Eve at The Beach at 6.30 p.m. for pre-dinner drinks and yuletide classics and carol-singing by children from Klong Jao School, Koh Hood. The Christmas Eve dinner, served from 7.30 to 10 p.m., at Benz for an intimate Thai family style meal or a European-style Christmas Eve set dinner at The View. Between Christmas and New Year’s Eve, there’s a wide range of activities to keep everyone in your group active and busy. Kite making, for example. It’s a treasured tradition in Thailand, and guests are invited to construct and fly kites made of organic bamboo under the expert tutelage of Khun Weera, the visiting ‘Bamboo Guru’. There’s also snorkelling at Koh Rang National Marine Park or kayaking along the scenic Yai Ki River. At night, stargaze with the award-wining astronomer Prof. Massimo Tarenghi from Soneva Kiri’s state of the art observatory, and learn all about the stars and planets in the unpolluted skies above Koh Kood. There’s also Six Senses Spa as well as yoga and exercises to keep you in shape between feasting. Put on your Party hat as Soneva Kiri will offer a memorable New Year’s Eve celebration, with an evening of food, wine, adventure and entertainment that will span the breadth and depth of the resort. Guests will be taken on a five-stop culinary journey through the elements and the continents, at every twist and turn enjoying another unexpected sensory treat. The evening will climax in a spectacular event at the beach with a guest DJ and laser show accompanying guests into the early hours of 2016. 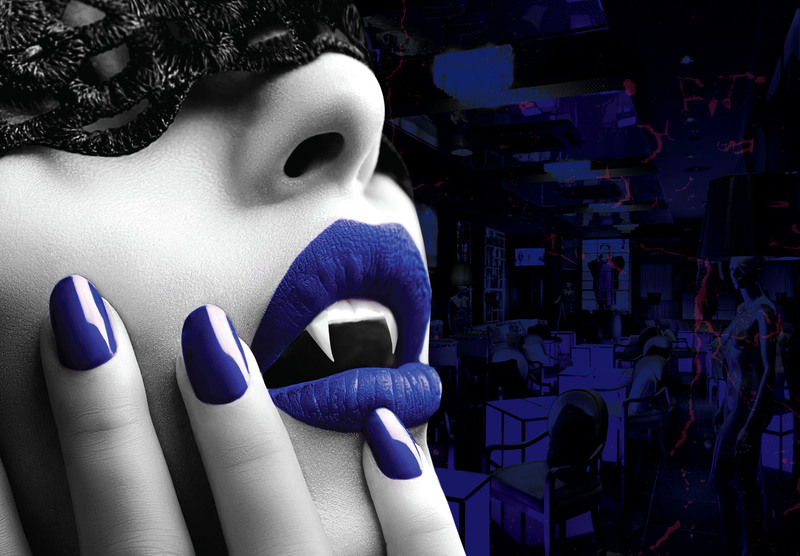 GUESTS WHO ARRIVE with their own mask have a chance to win a special prize for the most outstanding mask at a special Hallowe’en masquerade at the VIE Bar at VIE Hotel Bangkok on Saturday, Oct. 31. Devil It Up starts at 7 pm., with music from VIE’s own DJ. It’s all-can-eat-and-drink night, featuring free flow bubbly and other stylish beverages. Halloween promises other kinds of spirits too, with the bar’s ghoulishly apparelled staff serving your drinks along with an assortment of Japanese snacks. The free-flow beverages, and a complimentary masquerade mask – if you haven’t brought one – are all available for THB 1000 THB.